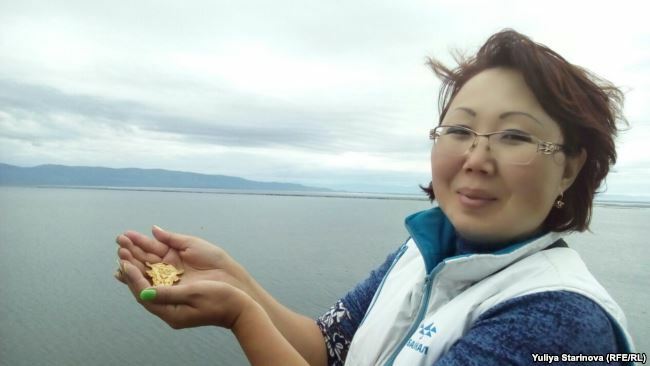 Natalia Tumureyeva succeeded Sergei Shapkhayev, renowned academic and environmentalist, as head of the Buryat Regional Association on Lake Baikal. Natalia Tumureyeva is a former student of Sergei Shapkhayev, environmentalist and head of the local branch of the Yabloko party. Natalia Tumureyeva is a professional environmental engineer. She graduated from East-Siberian State Technological University, becoming a specialist in the field of “environmental protection and rational use of natural resources”, later she studied in graduate school (specialty “Geoecology”). Since 2002, Tumureyeva together with Sergey Shapkhayev has been an employee of the university department of “Environment and Life Safety”. In addition, Tumureyeva as Chair of the regional branch of Yabloko is actively engaged in political and public activities, devotes much time to educational projects and outreach campaigning in the field of environmental protection, many of such projects are devoted to Lake Baikal. Natalia Tumureyeva is known for her environmental projects far beyond the borders of the region, her activities to protect Lake Baikal and the environment of the region is a vivid example of civic activism. We congratulate Natalia on her post and wish her further professional success! Posted: August 31st, 2018 under Protection of Environment.